Onsen Tamago ('温泉卵', is classified into appetizer), is known as Soft-boiled Egg in English, and 温泉蛋 (Wēnquán dàn) in Chinese. It is the washoku. 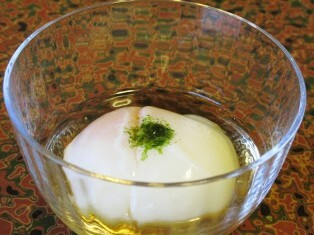 Egg, Water of Hot Springs (Onsen) or Water.